Events include Saturday’s “We Are All Deamers” march. 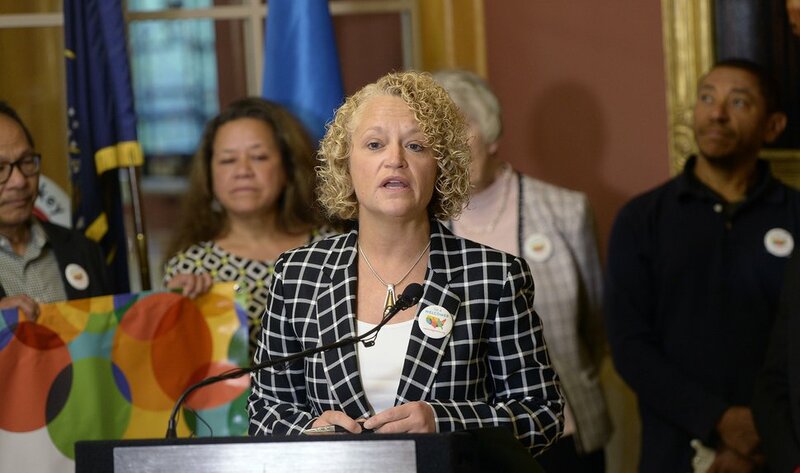 (Al Hartmann | The Salt Lake Tribune) Salt Lake Mayor Jackie Biskupski reads proclamation for "Welcoming Week In Salt Lake City" Friday Sept. 15. The proclamation states that immigrants and refugees make the city stronger economically, socialy and culturaly. Welcoming Week In Salt Lake City is a celebration to highlight the contributions of immigrants and refugees and the role they play in the capital city’s vibrant and diverse community. Thursday, Mayor Jackie Biskupski hailed them as important members of the community. Among other things, the week includes the “We Are All Dreamers” march Saturday in support of beneficiaries of the Deferred Action for Childhood Arrivals (DACA) program recently slated for the trash bin by President Donald Trump. It begins at noon at the Wallace F. Bennett Federal Building, 125 S. State, and ends at the Capitol Building, where several speakers will address marchers. Other activities during the week include “Forced From Home,” an interactive exhibition by Doctor‘s Without Borders on the experiences of refugees. It runs from Sept. 19 – 24 at Library Square. Also Sept. 19, a free screening of the Sonita, the story of an Afghan refugee who fights against being sold into marriage, will be shown at The Leonardo Museum. For more information on Welcoming Week, visit http://slco.org/welcoming-salt-lake. 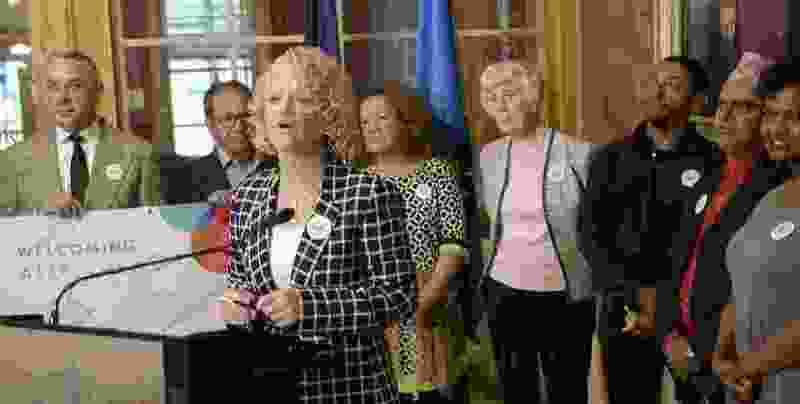 Biskupski said Democrats in Congress are working to renew DACA. Although Trump seemed agreeable to press for such legislative action late Wednesday, by Thursday he was backtracking in the wake of rebukes from the far right. Nonetheless, Biskupski said she is hopeful the president can push through the criticism for the Dreamers. Once a refugee herself, Fatima Dirie, Refugee Community Liaison for Salt Lake City, said refugees have faced tremendous obstacles to get here. But they have become productive citizens through help from many individuals and organizations. Advocate Pamela Atkinson congratulated the mayor and others for hosting Welcoming Week. Over 60,000 refugees live in Utah. Some 34,000 of them call Salt Lake City home.